EDIT: Hi Guys, I contacted the owner about your concerns over pricing. 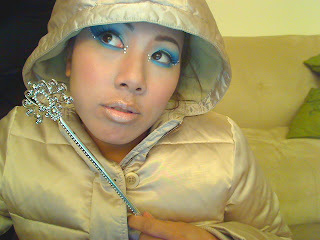 She is offering everyone a code for 20% off any order over $25 until 1/15/09 if you use the code renren2008. Also, remember that each shadow is $2.15 or $3.15 for a pearl paint if you want to buy an empty palette and build your collection slowly. I promise you, this isn't another random cheap palette, it's worth it! The Yaby Cosmetics website is more expensive than the prices listed on Camera Ready Cosmetics as well due to it being a Canadian based company. Just an FYI for those looking to purchase in the US. Thanks guys! 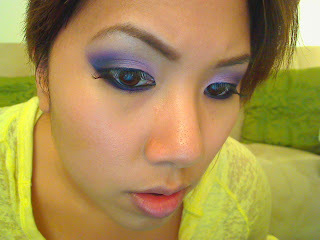 I've been playing with these new eyeshadows for the last few weeks. I've been neglecting my MAC and everything else because well...I don't need them since I have all the colors in these two palettes! Ever since I saw these Yaby palettes online, I was obsessed! My girl May has them, and Enkore did a review on them as well. I tried these out for weeks so that I could give an accurate review. 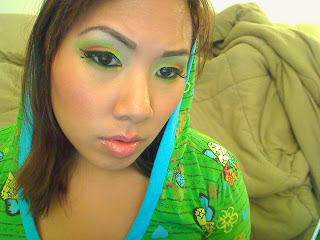 Just ask my boyfriend, I was fiddling with these every night, trying out all the colors. I had to have about 10 different brushes each time since I wanted to use all 80 colors! 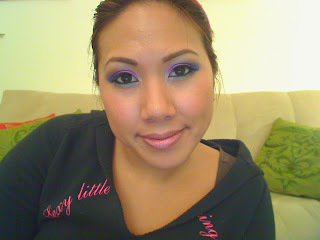 I definitely have a few favorites in the palettes that are not even close to be dupeable by my MAC shadows. 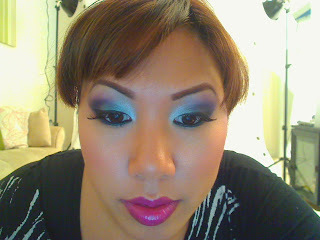 It appeared to me that the shimmery shadows were a little more pigmented than the matte. However, like all shadows, if you use the patting method with a 239 or similar brush, you can definitely build up the color intensity. 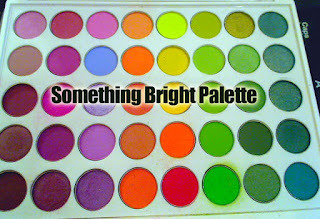 I received the Best of Both Worlds Palette as well as the Something Bright palette. The only thing missing was a matte black and maybe a few highlight colors. But if you're any kind of makeup junkie, I'm pretty sure you have more than a few blacks and highlight colors lying around. The eyeshadows are about the size of a dime. 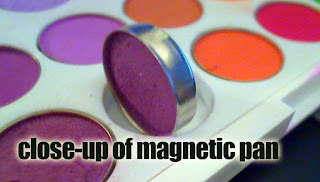 They are removeable (so you can replace colors, pick and choose colors) and magnetic too! They are a little wider than the size of a MAC palette, but about 1.5 shorter. 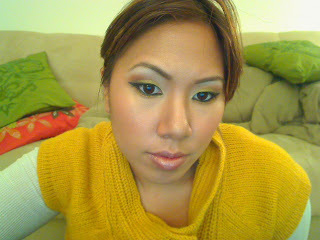 Check out my video review...I'm rocking two different looks using the palettes. On a side note : I'm really trying on working on getting a new camera to film my videos. I'm trying to budget for it so thanks for your patience. Thanks for everyone else who is super supportive! I've done a ton of looks with them (and received many compliments) just using a regular paint pot underneath. See for yourself! You have done great looks with this palette! You go girl rocking all the colors! :) Happy Holidays to you and your family Ren! Those looks are beautiful. Making good use out of it. beautiful.. fallout? hmmm. nikkia/slvrlips told me about this a while back, but i'm not the biggest fan of internet shopping. whoa the prices are crazy!! well in comparison to mac... not soo crazy, but at the size of a dime.. thanks for reviewing the shadows and showing us, esp with me being so hesitant about online shopping. Wow look at all of those shades, I wouldn't know what to do with half of them yet you make them all work. So talented, you go girl! The colors came out so nice and not washed out at all. I wouldn't know what to do with a palette that had that many colors either. OMG I absolutely adore the looks you've created using the Yaby Palettes! 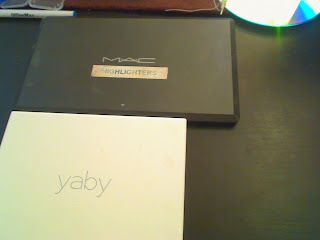 I am a huge MAC fan, but am realizing that there really are other great brands out there for me to try! 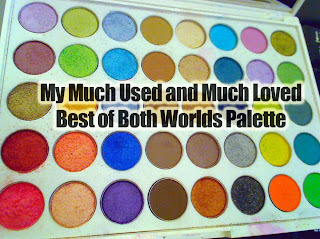 i would add this to my wish list if i didn't already have so many untouched palettes (and if i had money to spare!). *sigh* thanks for sharing though...those colors look so fun! Thanks so much for getting us the discount, it really comes in handy. smoking hot! i am goin to check out that palette.. i really want it! 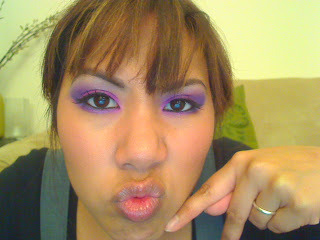 i love those colors on u.. ur eyes r good wit them =] esp the PURPLE!! !